Significant celebratory buzz has accompanied the recent images that “map” the distribution of matter and heat in the early universe. 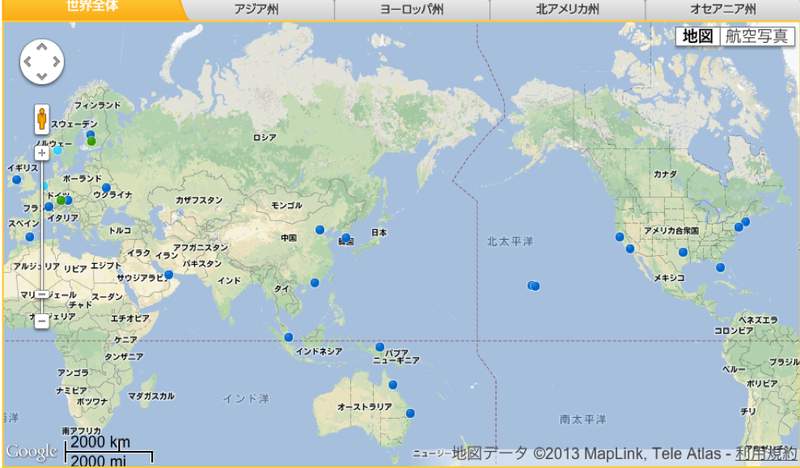 Let’s stop on the word map, however, as we admire their content. 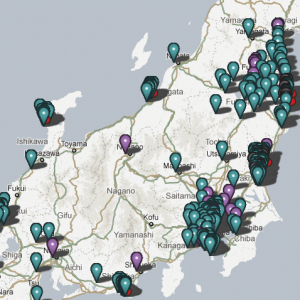 It might be worth it to consider how their content became considered as a map–as opposed to a simple image or visualization–to tell us about how we see maps. Back when Arno Penzias and Robert Woodrow Wilson first accidentally recorded background microwave radiation resonating through the universe while at Bell Labs in Murray Hill, NJ, they were so puzzled that they paused before reporting their results, trying to make sense of the buzzing in the background by cleaning their instruments of registration and even scooping some fifty pounds of accumulated pigeon poop out of their massive antenna. They knew the significance of the sound, but weren’t quite sure of how to make sense of the measurements. And so they checked multiple times before they went public about their observations, because their was no clear way to imagine what form that background static took. They barely had images of background static–a hum that barely registered, and was not even imagined as able to be visualized. 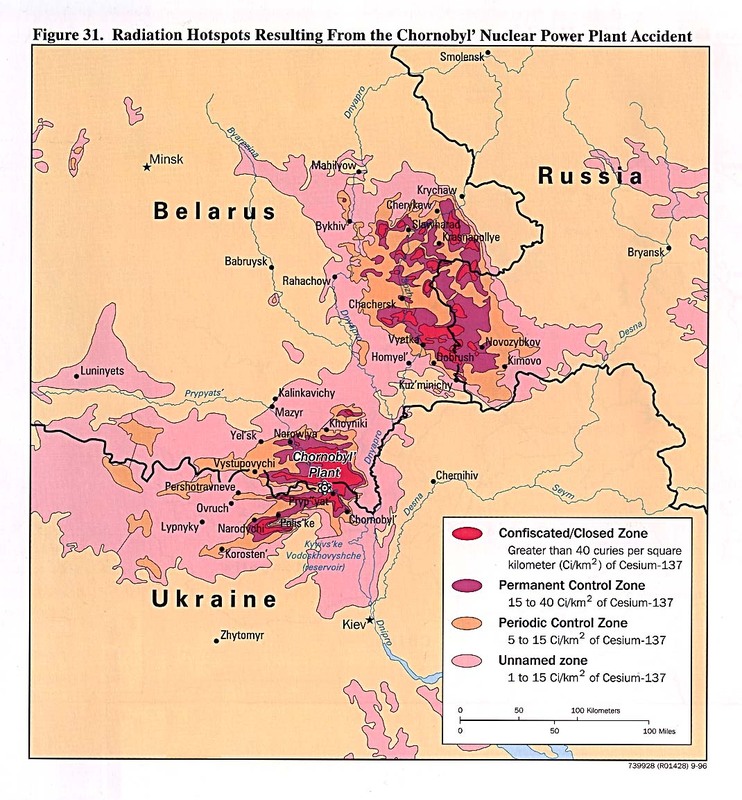 While a reconstruction, this image provides a basis to trace a history of background radiation images that reveals how their forms of visualization were seen as retrospectively mapping the distribution of matter just after the time of the Big Bang. 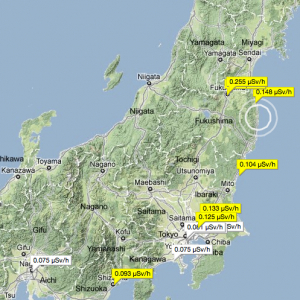 The COBE probe dramatically clarified these measurements by 1989, using satellite measurements to differentiate something of a clearer visualization or intensity map of remaining background radiation eery afterglow corresponding to variations in local temperatures. This is somewhat like an early form of medical imaging, and is reminiscent of an MRI with isotopes or coloring agents injected in a bloodstream, highlighting areas with a sort of detailed fuzziness. 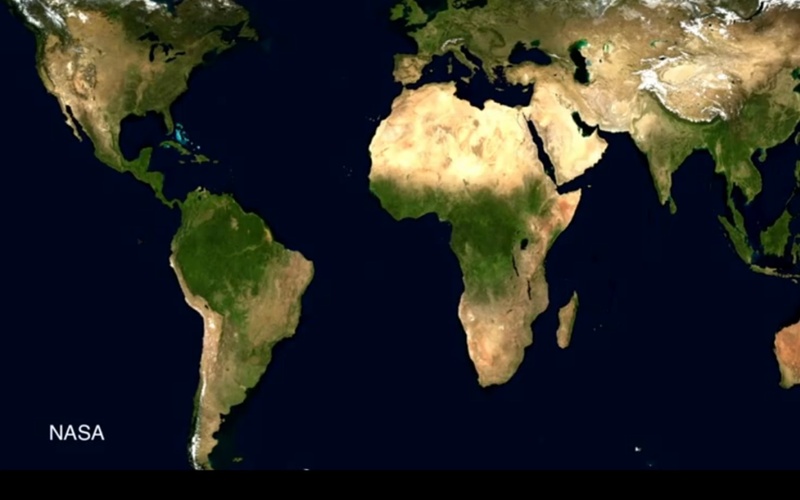 The image, like a world map, is a visual register of knowledge, as well as a basis for future research and theory-checking, condensing substantial empirical information and sightings. 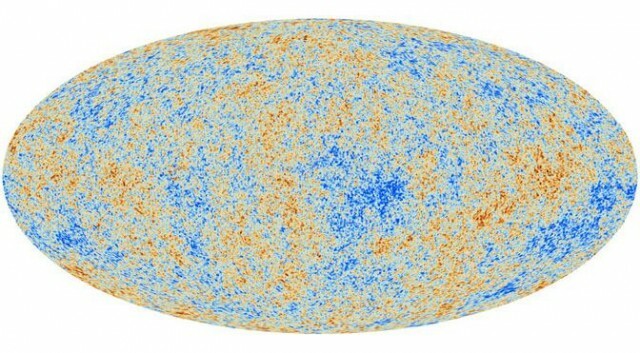 It provides a partial confirmation of the age of the universe, and grounds to support the Big Bang model and theory of cosmic inflation. (This image suggests decreases the amount of so-called “Dark Matter” that is around, and caused some adjustment of the dates of time since that huge explosion.) 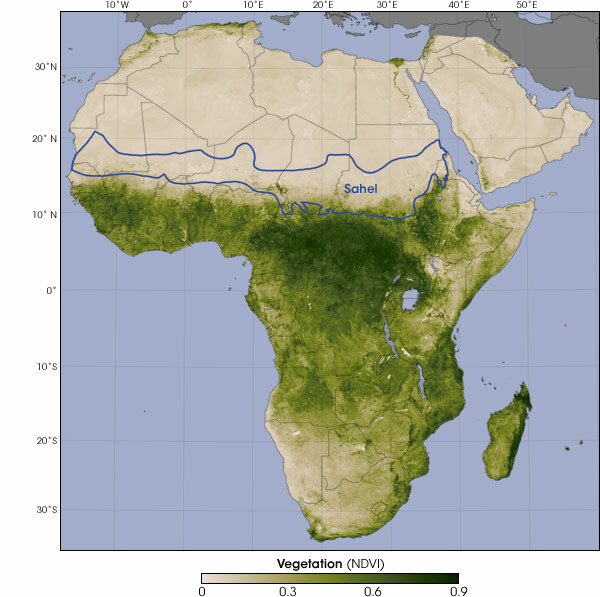 As such, the “map” seems to reveal our ability and interest to the stock of progress, see some new directions for work, and be satisfied we have something (at last) like a fine-grained map based on these results, even without the identifying names or signs of orientation we expect from land maps. 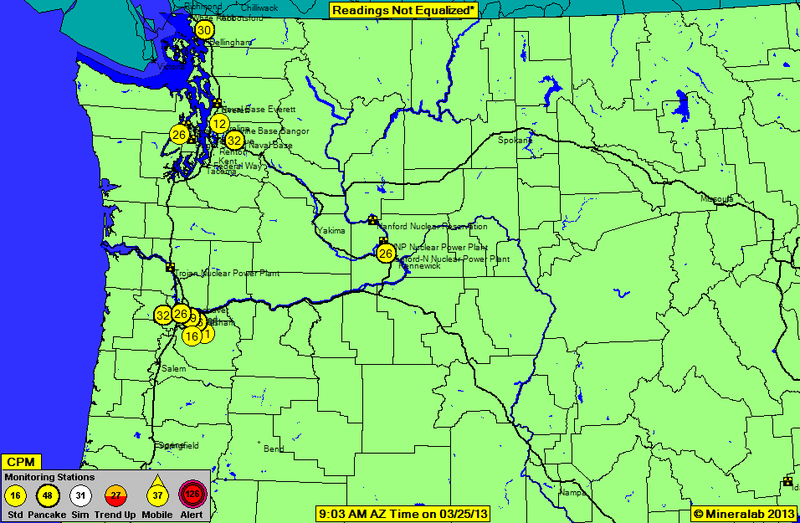 How does it offer viewers a map? For one, it presents a sort of key unlocking a mysterious architecture, and something like a hidden architecture of the world that is analogous in its potential meanings as the human genome map. Synthesizing a huge amount meaning, much in the manner the human genome project, both reveal a sort of master-code in meta-data scientific images that seem mythical master-maps of knowledge. 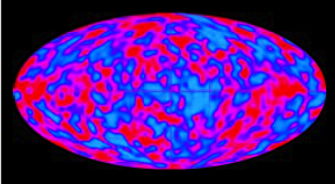 The earliest image of the universe is also stunningly beautiful in the variations that it reveals with an almost palpable resolution and the sheer beauty of delineating a primeval topography of matter is stunning if not mind-boggling given it is recording a skyscape of some billions of years ago: the sheer “beauty” of the image, admired by cosmologists like David N. Spergel, qualifies the refined synthesis of variations as a “map” as well as a registration, and as revealing a distribution of local temperatures, even though it is not that comprehensible as a record of space. 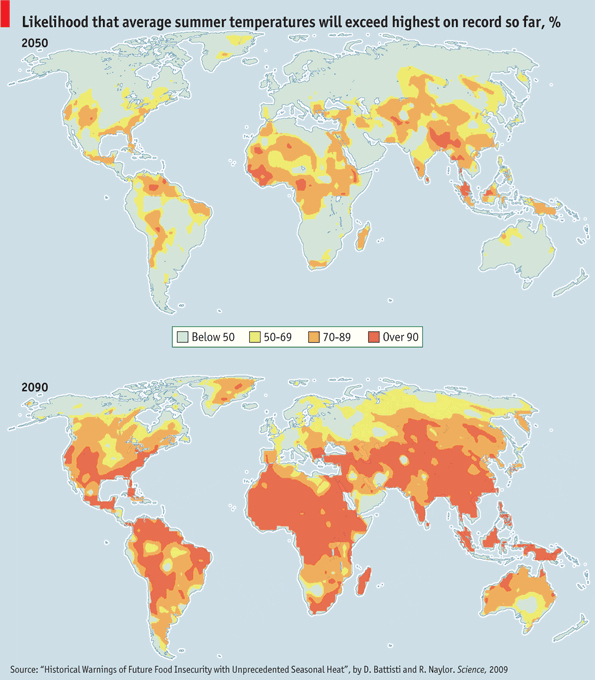 But the data compilation also interestingly fits how expectations for mapping have radically shifted since the widespread acceptance of GIS, or computer-generated images not based on individual images or transcriptions but compiled as graphics, whereas earlier visualizations would not have been so readily classified as maps. 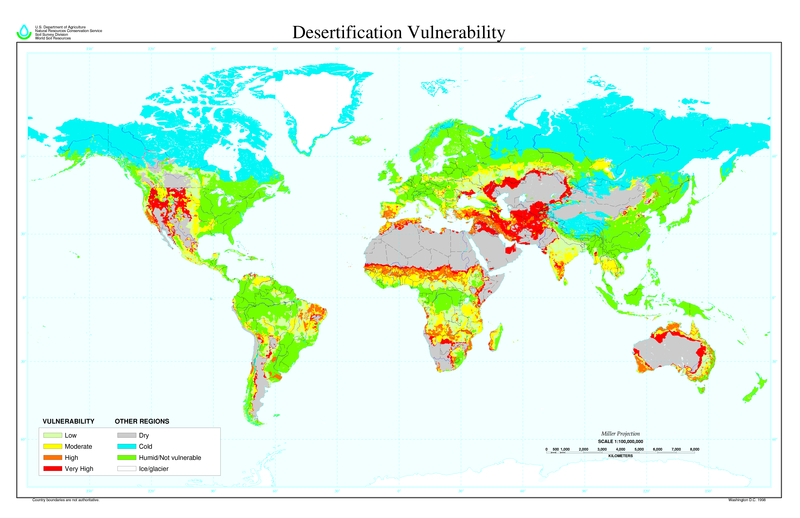 The broad purchase of maps as intellectual tools and visual bases for further inquiry is reflected in the large number of media maps that are daily diffused on the web, Television, and other platforms of visual consumption. 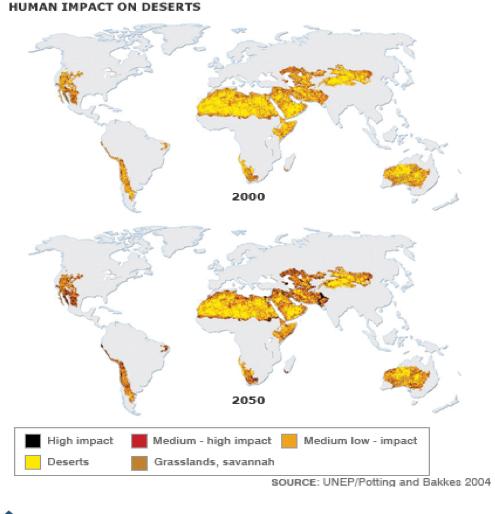 While we used to consider maps drawn renderings based on hard data or derived from surveying tools, the acceptance of computer-generated images makes us ready to call the synthesis as a map. 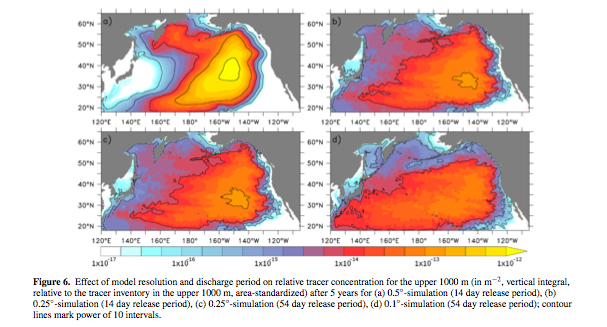 The refinement of its color schema and what might be called its greater resolution or granularity suggests the broad popular currency of something like a projected heat map that project changes in summer temperatures as a result of global warming–or the palpability of abstract blobs of bright red coloration in weather maps denotes heat fronts. 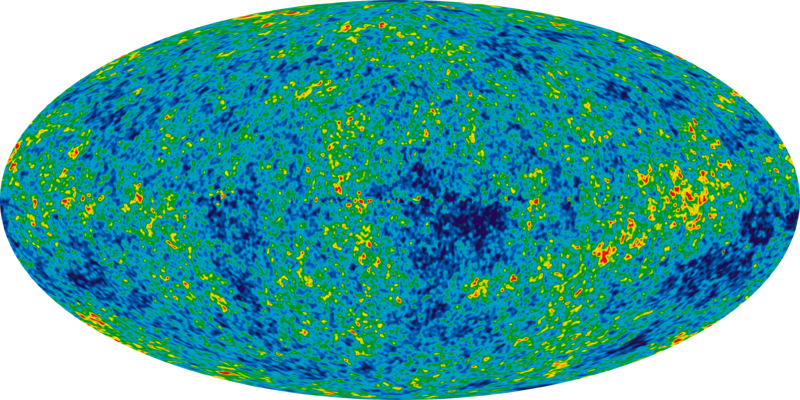 The Plank image of the universe meets the demand to have an actual image of what was then, as well as of a readable synthesis of data. Of course, it’s a much more satisfying picture, and one of considerable technical dexterity and achievement. More to the point, it is a synthesis of astronomical observations, whose measurements are correlated to assemble what seems a continuous and coherent whole. 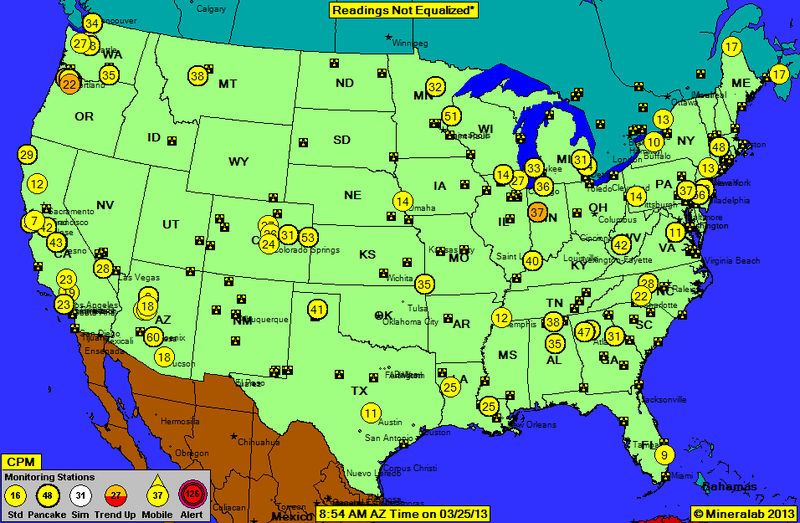 And that makes it a map, after all, in an age of data correlation. It doesn’t have any of the symbolic recognizability of anything like a global projection, to be sure, or contain any orienting words or textual signs, but the notion of an early differentiation into degrees of lumpiness of matter is as compelling an image as we’re likely to get or could reasonably hope. Indeed, the “baby photograph” metaphor is pushed to new heights at the same time–“fatter than expected“–and interest in the image’s general bumpiness. 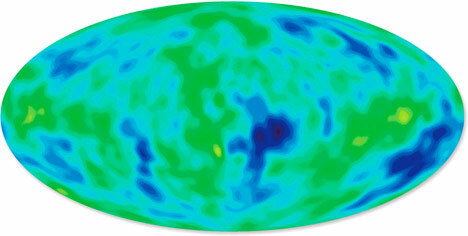 The new language of the topography of the Big Bang is what the map allows, and where its beauty lies. It’s an amazingly satisfying as an image that allows us to peer so far back in time and try to grasp what it is we see before us on its surface. The elegance of the detail of its data of sources of heat allows us to feel, or sensorily apprehend, aspects like the “lumpiness” and lack of uniformity in the early universe, and to start to grasp what an odd terrain of matter it was. It’s also a way that the distribution of matter, in its untouched, pristine state, returns to us even in the age of the anthropocene. Delineating sectors of an animal’s carcass on the form of a living creature is particularly jarring. It implies a clear category confusion that might be described as either breaching boundaries between the living and the dead, inappropriate, or deeply unheimlich or uncanny. It affirms the double-existence of the cow, and of all farmed animals, for the modern carnivore, perhaps rooted in his new relation to the art of butchery. 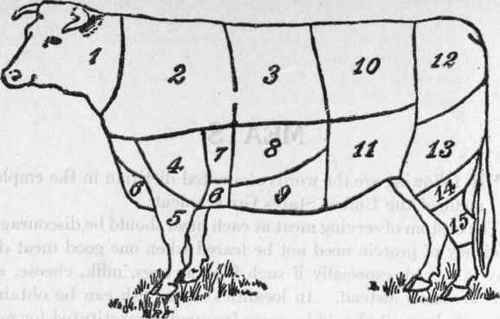 The neat dotted lines that segmented the bovine suggests it is not a grazing animal, than a diagram of what we are invited to buy at the butchers; its very form invites us to navigate passage from the living to dead animals, performing a doubling of the animal portrayed in its domesticated setting, focussed on the socialization of our relation to the animal through our relations to the animal carcass. 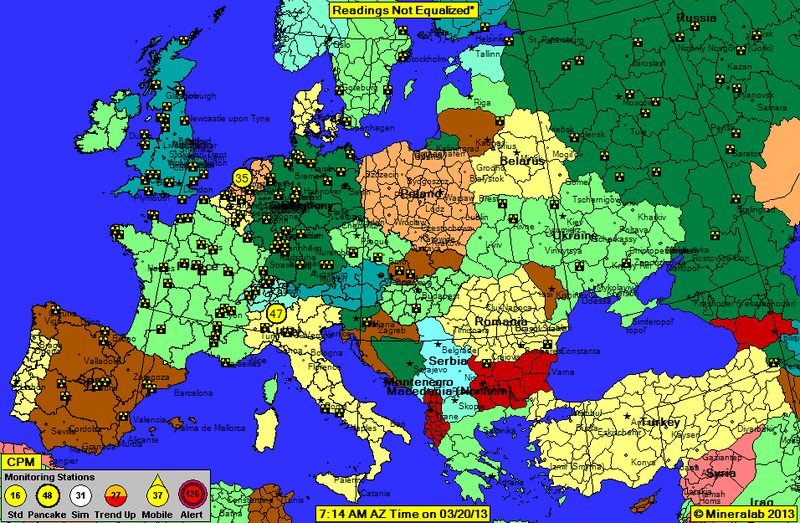 Far from only defining the meat–or the cow–the butchery map defines our place as viewers. It does so through the sorts of literacy that it presupposes, embodying the rationality of the butcher shop and the education of the prospective customer, elevating the sectioning of meat from a market or from mess. We are asked to see the cow as it is best divided, not only by the best butcher, but in ways that cast the skill of the butcher as akin to that of the master-cartographer, and invites us to see the preparation of meat as process that is as solidly rooted in learned skill that transforms the cow that stands upright before us on the earthy meadow to a meal that is able to be consumed among the “animals that we eat.” The division of the cow, sheep, and pig from beef, lamb, and pork is a master mapping of domains of food, rooted in the skillful raising of the animal and culminating in the division of the animal corpse. The division of the cow sets new boundaries in our relations to meat, but is based on the social acknowledgement of the art of butchery as setting a new frontier in the domestication of the animal, both in farming and the healthy preparation of meat in an age of increasing fears of food-born bacterial contamination of meat cuts that can give rise to the bacterial infetion of the gut from either the farm or abbatoir, and view the elegant sectioning of a lamb’s body as a of a piece with its breeding and raising, and a statement of the skillfulness of its preparation for the table, or at least for multiple modes of cooking–roasted or grilled–as the flesh is converted into food that is promised to be easily digested. 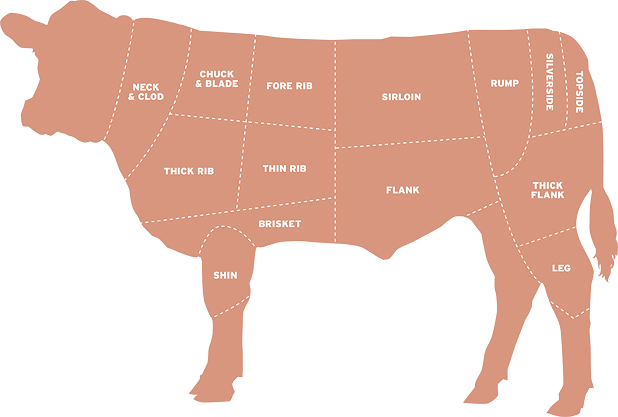 The image denies the differences between raw and cooked, and the living and dead, by providing a far more easy way to visualize cuts of meat as if inscribed on the surface of the living body, and indeed “mapping” regions of a territory by set precincts, creating a consensus erases any sense of the subjectivity of the animal, and displays the carcass as it exists for the carnivore, the regions of the living cow separated suddenly from any sense of the messiness of butchery. In ways that echo the current rise of the artisanal nature of butchery that have so widely recuperated similar images of the unflawed carcass of the cows, pigs, or other quadrupeds, the cow is displaced by the craft: for as it appears calm on its grassy meadow, the cow exists to be butchered, and seems not only quiescent but acceptant, prepared to sense no pain at the prospect of being not only divided but seen as it becomes transformed to a set of meat cuts. As viewers of this fundamentally pleasant image, which invites us to accept the world from the perspective of the sophisticated carnivore, we accept the sectorization of an image of an animal as the surrogate for the actual division of its parts. 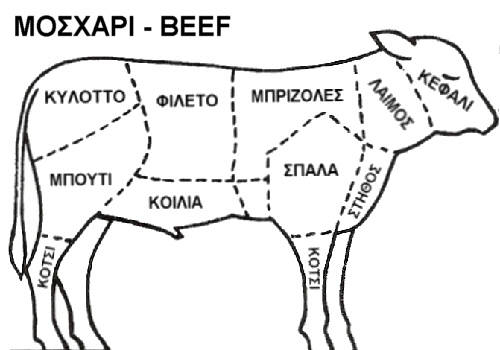 The fine dotted red lines of that vectorize each region according to its musculature run against the rippling of the individual cow’s skin, and seems a striking way to translate the living animal by an artisanal tradition of apportioning an organism into cuts of meat. While the marginal image of the butchered cadaver of a cow reminds viewers of the eventual division of the animal body for its human consumers, and a microscopic view of coliform bacteria reveal the dangers if the sanitary procedures of such a translation are not carefully followed. 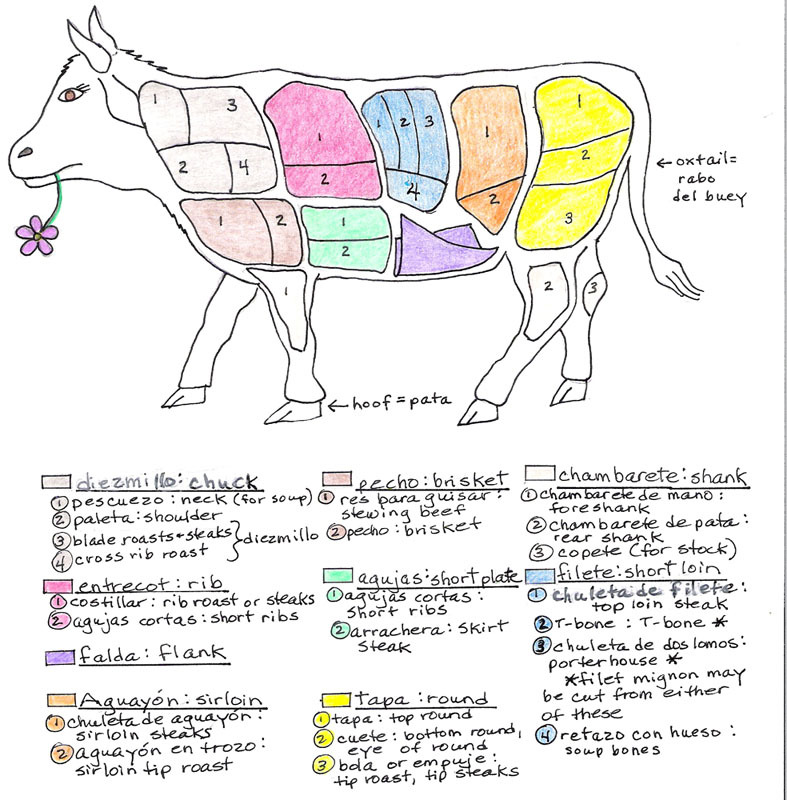 The resurgent interest in butchery diagrams reveals not only a renaissance of artisanal butchery, and boutique butchers run by hipsters who cleave and sell meats sourced from local farms, of hormone-free and antibiotic-feed free stock, but use a map to communicate and establish shared consensus on the proportions of bone to fat, and flesh to fat, in distinct cuts of meat that we aim to prepare. While such distinctions elevate their cost, they also draw clear criteria of taste, communicated in diagrams that recall medical textbooks if not just book learning, creating a needed consensus and useful shorthand around tacit levels of knowledge of their relative qualities for butcher, customer, and chef. It is almost as if the doubling of the animal is removed from the objectivity of a medicalized image, but is rather a field that moves from three dimensions of a living animal’s body to a flat surface. 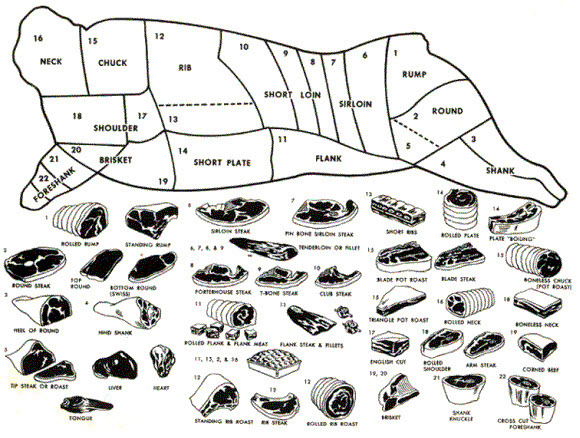 But the skill of dividing farmed animals and of recognizing individual cuts of meats suggest a transformative remapping of meat: the subjects of good animal husbandry are rendered into regular configurations of cuts after they are slaughtered, in a metamorphosis of meat that is almost as important as the distinction between raw and cooked. 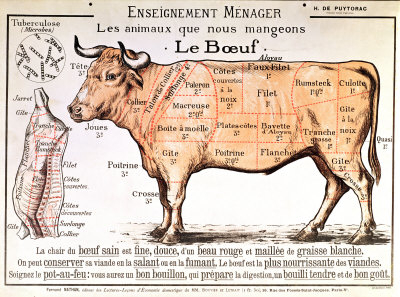 Indeed, the instruction in accurate cuts of beef was invested with a geometric regularity for Hylas de Puytorac, who would win a certificate of agricultural merit to the state which Jules Ferry had created, used to teach readers of the nature of the parts of animal we eat. The award of merit de Puytorac won reflected his presentation of butchery as an moral message to instruct readers to eat in the most healthy manner. The diagrams of Hilaire de Puytorac create not only a condensation of the civilizing process, but a confluence of a Cartesian sensibility and bourgeois lifestyle and attitudes toward food–they not only translate between the living and the dead, in an evidence of the uncanny, but effectively bring the cuts of meat from the butcher’s stall to the houses in which meat cuts are served. De Puytorac artfully imagined the transformation of cow to carcass was a question of domestic economy circa 1920, and prepared the animal by distilling the principals of meat division as if they were naturalized in dotted lines atop the skins of living animals; long before they became suitable art hangings, charming for the endearing way that they represent the meat cuts that entered kitchens or butcher shops, their pedagogic clarity directly translated the bodies of living animals to meat, dividing the living animal to the names of meat cuts without needing to convert it to a carcass. Hylas de Puytorac’s elegant line is far removed from the gross familiarity with which bovine animals seem to gaze right into the eyes of customers at some urban burger joints, now presented as if emblems of the high quality of meats that they use by virtue, perhaps, of their heft, without any sense of carefully portioning meat cuts as de Puytorac so prized. To be sure, there is something unseemly in the lack of drawing a boundary between the cow or farm animal whose carcass is offered to provide markets with meat and food preparation. 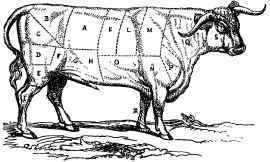 For de Puytorac, the naturalization of meat cuts followed crystal clear logic, echoed in those crispy defined dotted lines which almost elided the technical skill of slaughtering and butchering by which the sheep was made lamb, and the cow made beef: the subject of each “map” was the translation of animal to meat, and clearly subtitled “the animals that we eat,” but the cuts of butchery were replaced by a sanitized map for public consideration by the educated or informed, as if this domesticated and civilized the very process of describing, cutting, and consuming cuts of meat. 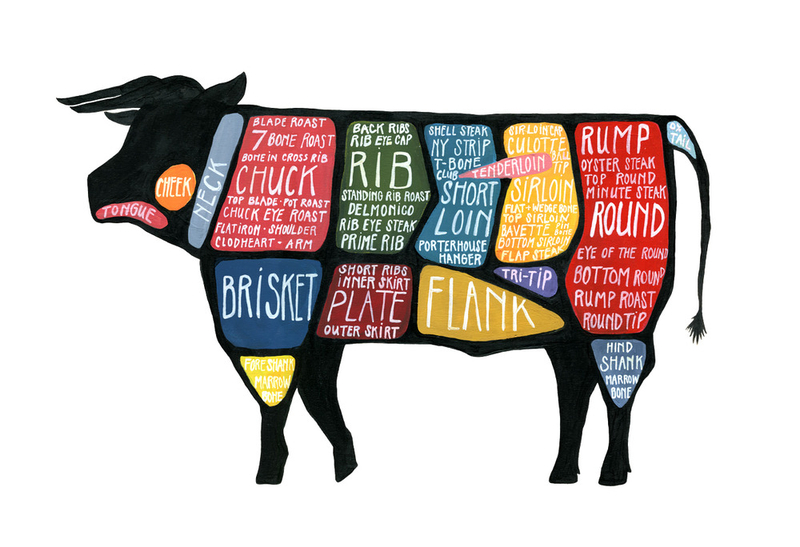 –but the embrace of butchery, cookery and meat-consumption as a valued aesthetic has led to the revival of such once antiquated maps of meat in American and European visual cultures. Indeed, the linguistic championing of the art of butchery seems an emphasis on the value of its learned, transmitted intellectual status of the names of meat cuts that frame the image of animal that looks straight into the customer’s eye at Sanagan’s Meat Locker in Toronto’s Kensington Market, and championing their first-hand familiarity with meat. The cultural transmission of adept skills of meat-carving is found, in other words, not only at the butcher-shop, but on the drafting table: as much as the whole-animal ethos has increased consciousness of artisanal skills of portioning freshly butchered meat among a new generation of hipster butchers, the division of the animal body was defined in increasingly elegant diagrams of butchery echo the skills of discrimination encouraged at the dining tables of courts as well as the domestic dining tables of mid-nineteenth century. 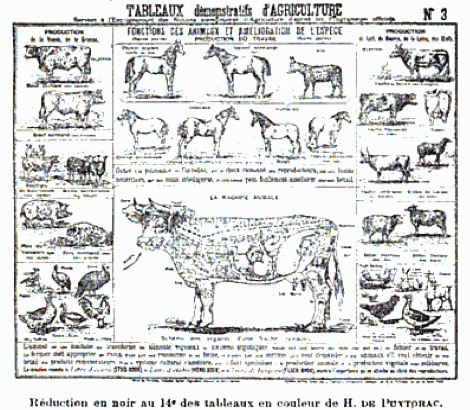 New modes of mapping meat were drawn on the forms of living animals, and widely diffused in detailed diagrams that increased admiration in engravings that delineated meat cuts with the objectivity of an anatomical diagram–but that maintained the illusion that steers were divided for the table directly from nature, or from the farm, so that “Le Boeuf” is standing, hopes planted firmly on the ground, gazing duly ahead as the cuts into which his body will be divided are inscribed according to discrete cuts to be distinguished by their ratios of taste, toughness, fat and flesh. The domestic economy of middle class homes placed a strong emphasis on elegant cutting of cooked meats. “One of the most important acquisitions in the routine of daily life is the ability to carve well,” advised the 1852 Illustrated London Cookery Book somewhat sanctimoniously; even if “the modes now adopted of sending meats, etc. to table are fast banishing the necessity for promiscuous carving from the elegantly served boards of the wealthy,” it continued, “in circles of middle life . 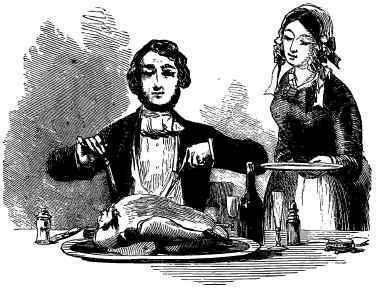 . . the utility of a skill in the use of a carving knife is sufficiently obvious.” The accomplished decorum of severing joints, carving birds, and the dexterity of manipulating knife and fork garnered spousal approval and admiration, evidencing an ability to divide meat that designated class differences. The transformation or passage of animal carcass to meat suitable for preparation, and the linguistic conversion of indicating meat cuts distinct from an animal is an ethical question of renaming, but also a deeply cultural process rather than only mapping animal parts. If all mapping is something of a conversion of nature into culture–and a creation of place as a known identity, able to exist as a set of coordinates, as well as recognized in one’s mind–the mapping of meat is more than a transformation of raw to cooked, but once-complex process of rendering meat subject to and fit for human consumption, in a combination of the arts of gastronomy and butchery far more than simply anatomy–if the language of mapping meat hides both the work and presence of the butcher and slaughterer as well as the cook by which the tender morsels are prepared, as clear linear divisions were imposed on the steer that was transformed into beef, ready to arrive into the stewing pots illustrated above the animal, or cut into pieces ready for consumption. Far from only employing a sophisticated language, the mapping of meat is something like a deeply historical and cultural sedimentation of rites of renaming what was once alive in ways that entered local food cultures and prescribed models for the preparation of food that seem eerily akin to recipes. 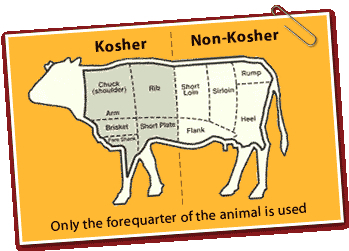 But the decorum for separating cuts of meat or meat apportionment has a long history, and reveals a cultural form of mapping, and the artifice of mapping accurately. 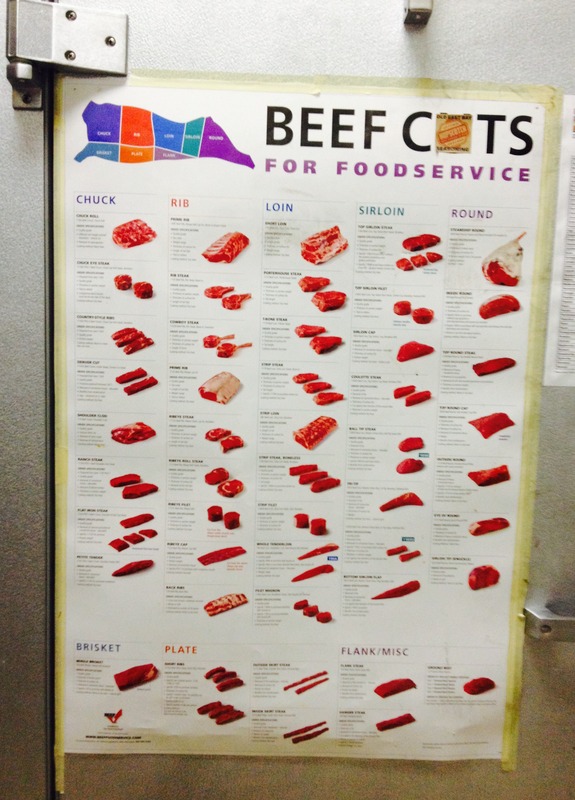 I begin with such a polite and decorous image since I’m moving toward some diagrams of sectioning prime cuts that focus on the separation of cattle into meat cuts–maps that similarly separate the division of animals’ bodies by butchers and convert what was a body into portions of edible meat. Although Nicola poetically described on “Edible Geography” “the sculptural discovery of secret shapes within the familiar architecture of an animal,” mapping the carcass is not only a process of unpacking, or of revealing, but a transcription as well as a form of translation of the body of the animal to the provision of cuts of meat–a renaming of body parts as forms of meat. The transcription converts embodied form to table, dismembering the body by preparing of the cow’s carcass into pieces of prime cuts for the eyes of the chef. The process of extracting individual cuts of meat from the body, and renaming them, is the ultimate denaturalization, or repackaging of meat cuts for the market place–as its unwanted head, horns, ears, and hooves are discarded and not destined for consumption. 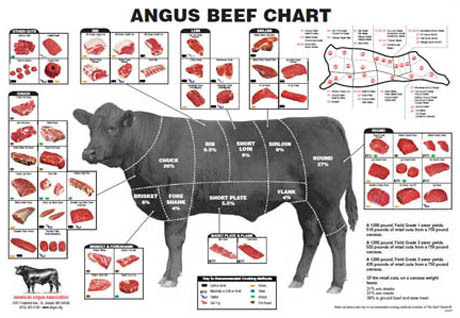 And although the map suggests proximity to the steer, few folks who read the image would have first-hand relations to the carcass, but rather a naming of regular configurations once seen in the butcher shop. Such a cleaving of neighborhoods by what seem–on the city map–small and delicate cuts reflect not only the musculature and distribution of body fat on the animal, but the conversion of lived space to a space of good manners, social etiquette, and culture. How did this division come to be codified? As much as how we bring the meat to our table, it is a sort of map of how we ingest our meat, and deserves to be examined as such. 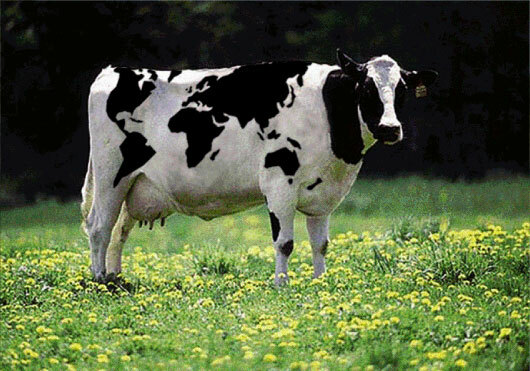 Rendering cows as canvasses to make maps, and imagining the coat of a European Holstein cow as bearing a “natural” image of the world may universalize the breed, but is a pleasant fantasy, neatly naturalizing a global projection by a clever photoshop. 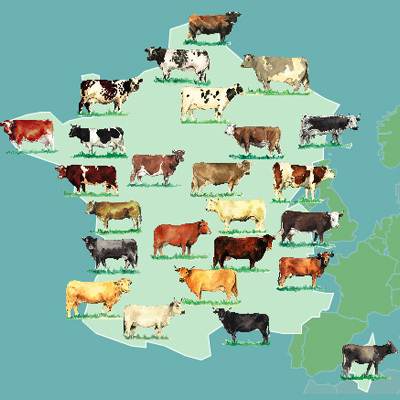 The photoshopped cow was clearly painted by stencil, but we’ve long mapped the cattle varieties specific to regions–as the Holsteins of France, who seem naturalized by region akin to a map of cheeses or wines, locating different breeds of cattle as if indigenous to different provinces and landscapes of France. 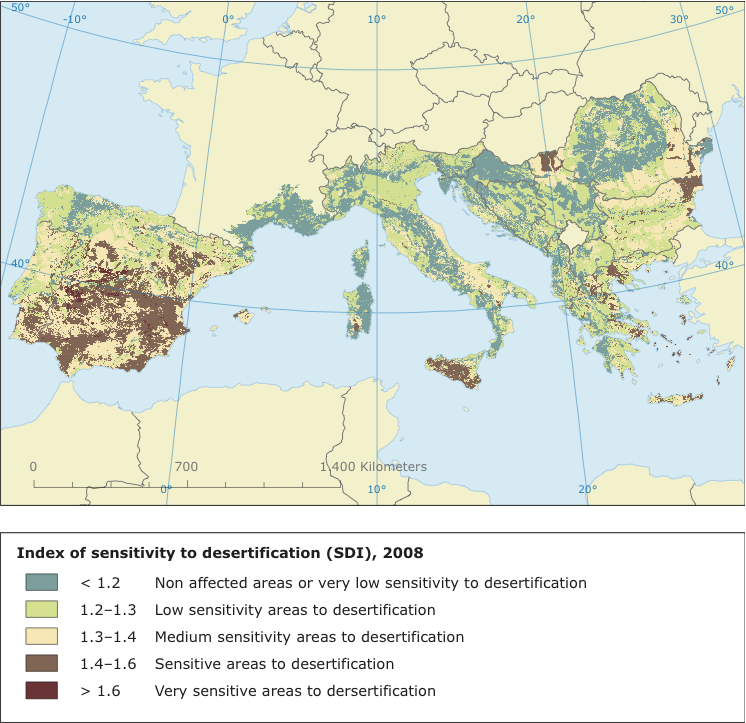 But rather than derive from specific regions or terroirs that distinguish the different qualities of wine–perhaps embodied by their local mineralogy, acidity, flavor, and earthiness–the mapping of meat is a more profound conversion of the natural to a cultural product, and indeed an illustration of the mastery over nature of the sort that finds expression in a map. To be sure, there is considerable defense of the healthful or patriotic properties of “meat” that various nations produce. 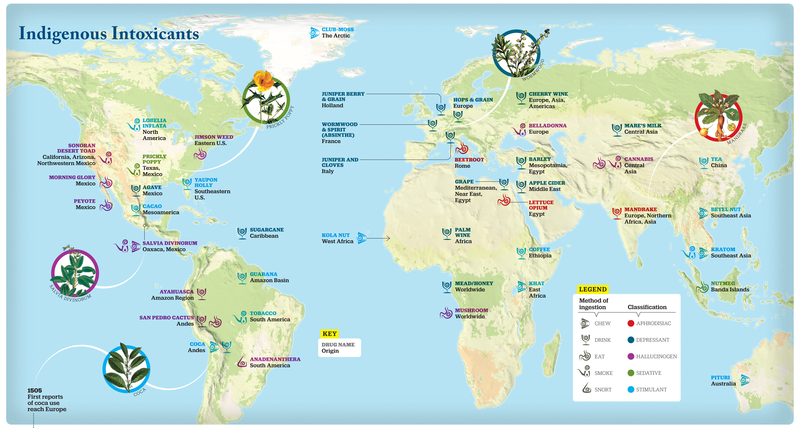 This is not so much a mapping of nature, as a culturally specific labeling of body parts. 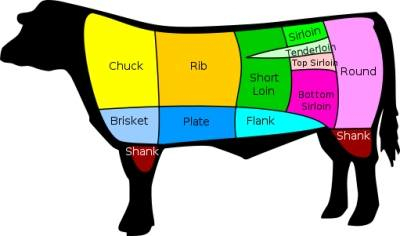 For the naming of meat cuts serves as a way of processing the formerly live cow into discrete areas that arrive in the kitchen or chef’s table, or a distinct language by which to name regions in relation to distinct styles of meal preparation and indeed a form that they might be most consumed. The idea is less to better know the topography of the steer’s divisions, than to mark the progression of the steer’s body in the slaughterhouse and to convert it into a new lexicon as it moves to the preparation of food. 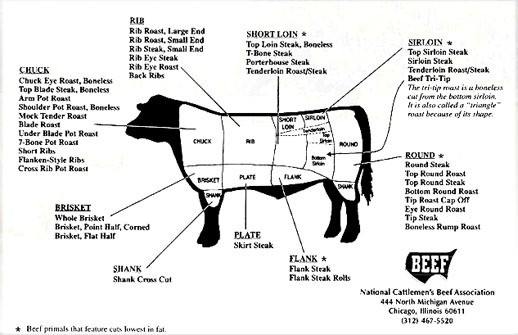 The division of the steer’s body in many sectors is not merely about labelling, but about naturalizing the division by which the body of the steer becomes transformed to meat. 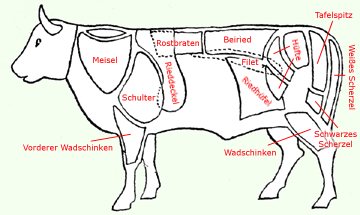 The sectioning an animal does not simply follow the form of the body, however, or the musculature of the steers: different cultural styles of butchery may be geographically distinguished within the variety of ways meat is mapped in established diagrams, a rich subject for research, that reveal cultural division in the preparation of the animal–and sectioning does not only reflect sanctioning. 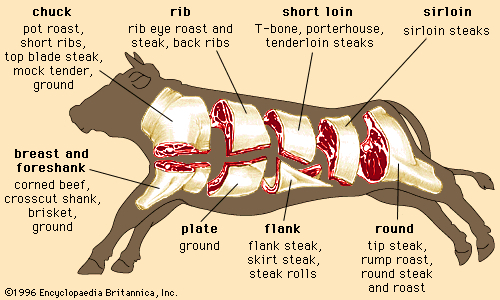 Of course, the greater simplicity of bisecting the cow’s body and dividing it into quarters is, in many ways, an American invention of which we can be proud: it is a reflection of the rise of industrial butchery, which process multiple carcasses based on sawing the linear saw-lines to create a division and cross-sections–and a consequent decline in the taste for specialized cuts of meat. The shop for buying meat has long migrated from the site of slaughtering–although there’s a been a return in some communities for fresh meats. But the disembodied icon of denatured cuts is far less disturbing than the brightly packaged glistening cuts stacked in freezer bins in supermarket meat sections, value packs of USDA Choice that serve as opulent illustrations of plenty for consumers unlikely to ever undertake butchering skills. –or those recognizable cuts, stacked in rows beside fake plastic grass in butcher windows, fake grass whose presence itself suggests the meat’s remove from the scenes of butchery but oddly conjure the fields where the slaughtered cows presumably once pastured. Removed from the active division of the steer’s body, such meat cuts appear as if shorn of the animal, in the plastic packaging in which one might meet them in the refrigeration section of a supermarket, or beneath butcher glass. Dividing the animal is the clear precursor to eating one. For Hylas de Puytorac, Chevalier du Mérite agricole, images as”Le Boeuf” were destined more for schoolkids than for butchers; primarily didactic in nature, they sought to preserve an agricultural knowledge in danger of disappearance. When State Senator Audrey Gibson introduced a Bill 1678 in Florida’s Duval County to mandate completion of a two-hour anger management course before their purchase of a firearm–and for that course to be retaken every ten years–a flurry of consternation and protest broke loose. Never mind that you can take the course online, and that it only lasts two hours–it was seen as an infringement on the sacrosanct individual rights, independently form the traditions of government designed to protect the common good–yet, by a dogmatism of faith, asserting the protection of individual rights in ways that seem particularly corrosive to the ideal of a representative democracy. How did this come about, and is there a distinct geography in which liberties for gun ownership are more fiercely protected and agitated for in place of equal protection for citizens? Such a demand feeds both into the elevation of “rights” as an extension of the absence of constraints on individuals, and the expression of a politics of true sincerity and purity, based on the protection of the individual both against government oversight in any form, and a conviction that government policies need to be scrutinized for their infringement on a purely individual concept of liberty. The misconstrual of gun ownership as an individual right within the Bill of Rights and that is not able to be over-run or revised by state or local government is based on an interpretation of the Second Amendment long advocated by the NRA in District of Columbia v. Heller (2008), affirming an individual right to own guns within one’s home and on one’s person–as if it was implicit in the framers’ assertion that “well regulated Militia, being necessary to the [collective] security of a free State, the right of people to keep and bear Arms, shall not be infringed.” The opinion that this assertion constitutes grounds for the legal protection of individual gun ownership rested on the majority opinion that the thirteen words that began the Second Amendment constituted “prefatory” matter,” rather than qualify the terms of and reasons for the defense of gun ownership, has enshrined a perversely popular interpretation, long sought by the National Rifle Association, protects individual possession of guns, even in the face of a near-epidemic of mass shootings in the United States. It is not a coincidence that the geography of such claims match with the melding of a dogma of liberty in a fear of the usurpation of rights, and need to protect such rights from below–by bringing politics directly to “the people,” their true source of expression–in ways rooted in faith, rather than a model of inclusive citizenship, and a dogmatism rooted in faith, rather than a body of open debate. It is in specific geographic corridors that gun culture is not only greater, but a “healthy” relation to guns asserted to exist–despite some significant evidence to the contrary. In Florida, Gibson’s bill was quickly labeled not only an infringement of (“God”-given) inalienable rights, but labeled as “the stupidest thing I have ever heard” by the owner of Jacksonville’s St. Nicholas Gun and Sporting Goods Store, who might be worried it would hamper sales more than lead to a black-market in firearms (which would further undercut his business, I suppose). The serious abuse of the Second Amendment across the country rests in part in how the right to a piece is believed natural. Indeed, the attempt to align it with populist claims, hostile to pluralism, dissent, or liberal traditions, is not only parasitical on a tradition of representative democracy, but against the dispersion of power in a state based on representational democracy: based on an intentionally polarizing discourse, the interpretation of democracy on which it turns–the trumpeting of individual rights over those of the collective–may indeed be mapped more clearly than one would imagine by normalizing it as opinion, and merely placing it at one end of a political spectrum. Tempting as it is to map this onto a red state/blue state divide and a familiar choropleth map, such an supposition would depend on universal voter registration–which is far from the case. 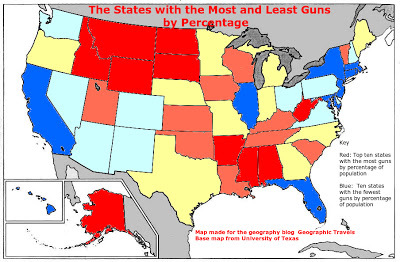 A more provocative map might use the same statistics to construct a set of maps of the relative deadliness of individual states’ “gun cultures.” The notion that each state has its own culture of violence is clearly itself a fiction that is perpetuated in large part by pollsters, choroplethic mappers or demographic ingenuity, and oddly erases regional difference or urban specificity–and discards economic variations in favor of a viewable poll that clearly consciously recalls electoral data. 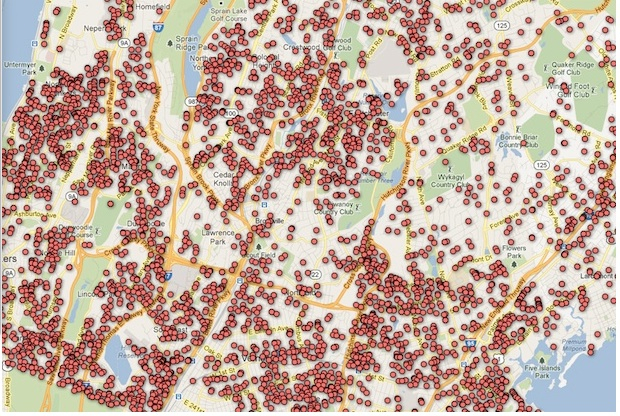 But the variations could tell us a lot about the universality of gun violence in regional terms, beyond a simple mapping on to zip codes, which predictably intensify in urban areas, like the recent map that was published as an interactive map by the White Plains Journal News in Westchester and Rockland counties, but which created a mini-controversy as an invasion of personal privacy by internet vigilantes who decried tactics of intimidation, rather news–as if someone would chase these poor firearm owners. 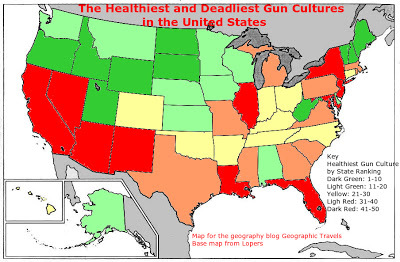 But if we apply what might be called critical thinking, or just comparison, although the deadly gun culture in Nevada is revealed in the above comparison of the balance between gun-related deaths to traffic-accidents, some of the states with “healthy” gun cultures, to use that tragically oxymoronic term, like Oregon, Colorado, or Utah, turn out to not be the very places where an anger-management course might have been just the thing that would have saved some lives. (Let’s table for now the related question of why Colorado is plagued by such a high number of gun-related suicides–or the fact that 75% of gun-related deaths are due to suicide in the state–or the impact that announcing restrictions on firearm ownership might create.) That at least offers convincing cases of where it might actually have been a very good idea to keep guns out of some people’s hands. 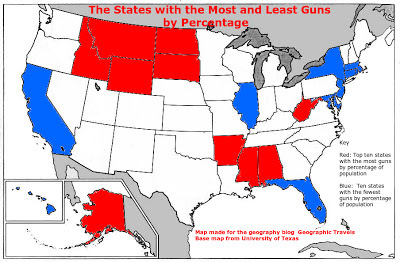 The defeat of any of the proposed limitations on the purchase or ownership of guns in this country–either though screening purchases by background checks, checking for mental illness, or for restrictions on on-line gun shows–turns a blind eye to these maps, and to the notion that the prevalence of guns in our schools and culture is not a problem: and even to believe that one can cast owning firearms as a protection of a liberty. Not only is the Senate in “the gun lobby’s grip,” as Gabrielle Giffords put it, but country and media seem to have turned a blind eye to their responsibilities to regulate access to guns. Indeed, the notion that the government could even release any information to map gun-ownership was wholeheartedly rejected by Senators, in response to a request from the Republican senator from Wyoming, penalizing local governments for releasing any public registry of ownership of guns. Indeed, the rush to get gun licenses and sharp increase in weapon sales in response to consideration of tighter gun control laws–“not just because President Obama and his administration are hell-bent on introducing some form of worse-than-useless gun control in the aftermath of the terrorist attack in San Bernardino CA,” Breitbart.com put it, but because the government “cannot keep you safe.” The notion that free access to semiautomatic rifles increased safety is so reflexive after major mass shootings in the United States that the demand for purchasing guns at stores like Walmart–currently the nation’s largest gun retailer–suggests the appeal of gun-ownership as an assertion of responsibility. It is considerably scary, and incredible, that while convicted felons are prohibited by law from purchasing rounds of ammunition by law, no identity is required for purchasing gun ammunition. Although the industry generated a $3 billion revenue that grew 8.9% from 2010-15, the United States government’s Bureau of Alcohol, Tobacco and Firearms sees no easy corelation between the sale of ammunition alone and the growing gun problems that increasingly plague the nation. In an age of increased data-accumulation, data-selling, and data-compilations, this type of data–the clearest data to prevent the public circulation and availability of firearms and guns–seems off-limits. 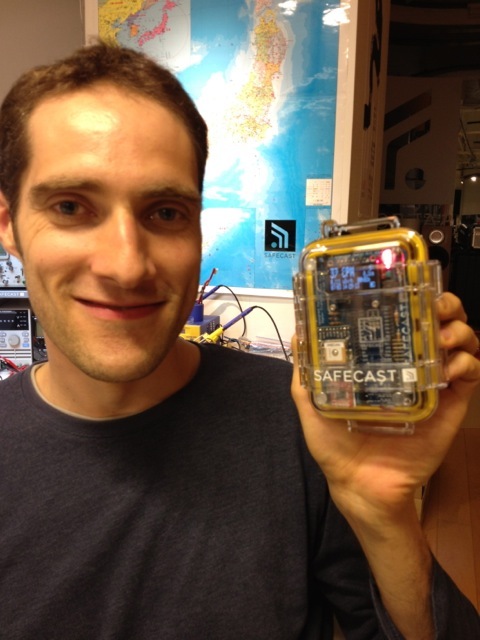 Looking at the lay of the land, could this really be safe? The image is truly daunting. A recent study from the Chicago Crime Lab suggests that rather than curtailing access to guns or their possession, preventing the public carrying of guns is a more critical deterrence to violence. 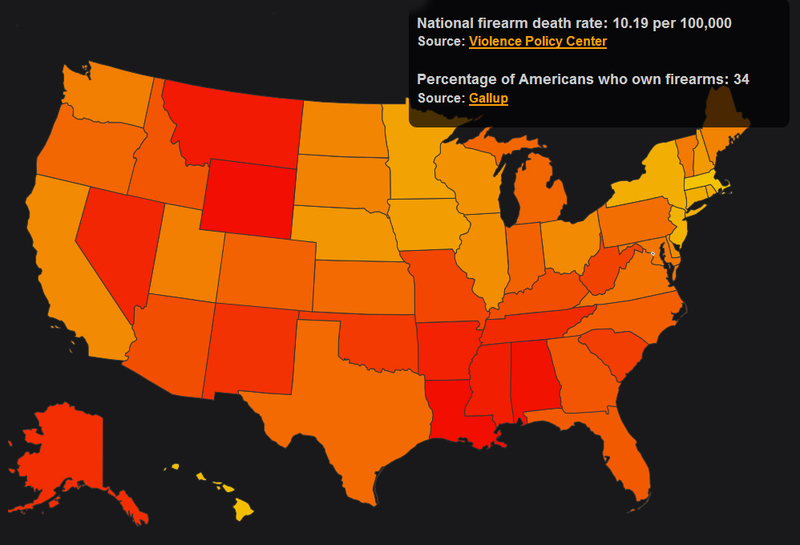 The study may have a valid point, but the question of where folks will gain their access to guns–or exposure to a culture of guns–forces us to go back to that question of all those red dots in the map above. If many gangs may change their gun-carrying behavior in response to police pressure against illegal gun carrying, is the enforcement against carrying guns able to be sustained while respecting civil rights? A study of illegal gun carrying indicates support for the potential effectiveness of this approach, but the ability to procure guns is at the same time a surer restraint against the ability to carry them. Along these lines, Senator Mark Leno has introduced several bills in California to confiscate those guns that are illegally owned, estimated at 40,000, using licensing fees for firearms, as well as of introducing mandatory background checks. While the legal owners of guns are not necessarily tied to those not in legal possession, the widespread possession and acquisition of firearms in the country increases the risk of their illegal circulation, and to monitor whose hands they can enter. This is a stab at offering a better mapping of the circulation, commerce, and traffic of firearms, if not to map their personal possession–and to map such possession onto the essentially populist claims of the protection of individual rights of gun ownership. But these theories beg the big picture. If beer is bread, let’s expand our basket of intoxicants by cocktails that offer grounds for socialization beyond the sixpack in a site-specific map: rather than a map of where you can go to get intoxicated, the above map takes a wider view, timed for St. Patrick’s Day, by amply recognizing the Mediterranean grape, honey, barley of Mesopotamia, palm wine, beside the grain and hops it calls indigenous to Europe. 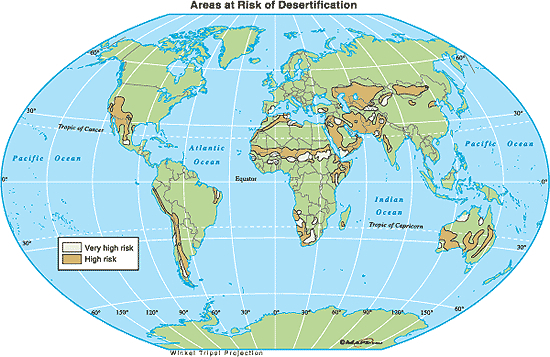 Broadening our horizons by embracing the prickly poppy, mushroom, peyote, beetroot, embracing the glorious juniper berry as well as the Sonoran desert toad, which join cannabis and coca or the Kola nut, to picture the origins of human sociability in more variegated and broader landscape. No doubt toads and prickly poppies weren’t as easily domesticated, not to mention Arctic Club Moss, but the big picture provides a nicely bucolic view of varied ecological habitats, as well as providing a new sort of level for what Italians have come to call Agriturismo, just in time for Spring Vacation. 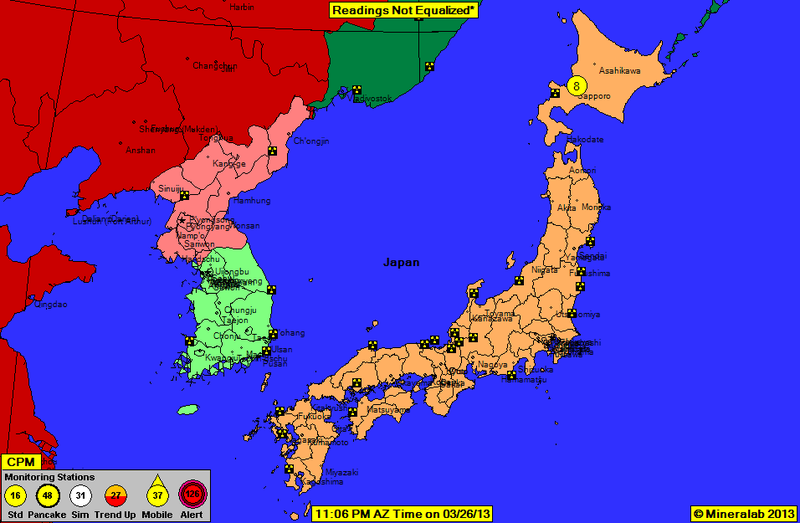 It may give fieldwork a good name, even after Napoleon Chagnon took the dark-green slime dripping from noses of hallucinogen-induced violence among Yanomani as signs of their state of perpetual warfare.